​“Often the dying person feels reserved and insecure, and is not sure of your intentions when you first visit. So don't feel anything extraordinary is supposed to happen, just be natural and relaxed, be yourself. Often dying people do not say what they want or mean, and the people close to them do not know what to say or do. It's hard to find out what they might be trying to say, or even what they might be hiding. Sometimes not even they know. So the first essential thing is to relax any tension in the atmosphere in whatever way comes most easily and naturally”. Our beliefs about what happens when we die define how we live today. And more and more of us are discovering a radical truth: when we release our fear of death, we open to an immensely richer life right here and now. But how do we incorporate this profound insight into our everyday lives? 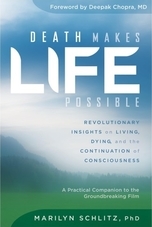 With Death Makes Life Possible, Dr. Marilyn Schlitz presents a wealth of teachings and practical guidance on how to turn this taboo topic into a source of peace, hope, connection, and compassion. An accompanying DVD contains interviews with mental health experts, cultural leaders, and scientists exploring the meaning of death and how we can learn to live without fear. A brilliant book and DVD - highly recommended. Is there an art to dying? And if there is, what can we do to achieve a good death? We have few special rituals to prepare for death, or to mark it, and we often fail to help the dying prepare for death. 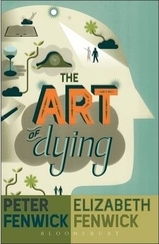 The Art of Dying contains accounts by the dying, and those who have been with the dying in their final hours, which help us to understand that death is a process. The experiences suggest that we are looked after throughout the transition from life to death, and taken on a journey into love and light by loved ones who come back to take us. ​What Really Matters chronicles the life transformation experienced by Dr. Karen Wyatt as she cared for dying patients and their families in hospice. Not only is this a book of beautiful and uplifting stories, but it is also a guidebook for those who are feeling hopelessly lost and stuck in this contemporary world. 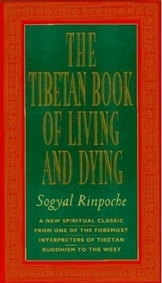 ​A manual for life and death and a source of inspiration from the heart of the Tibetan tradition,The Tibetan Book of Living and Dyingprovides a lucid and inspiring introduction to the practice of meditation, to the nature of mind, to karma and rebirth, to compassionate love and care for the dying, and to the trials and rewards of the spiritual path. Nursing home carers and hospice workers often say they feel ill-prepared to deal with existential issues, or difficult questions about death and dying, that may arise during the last few weeks and days of a person’s life. 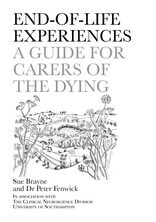 ​This guide is intended to provide support for you in end-of-life care, as well as helping you gain a better understanding of the dying process. What it’s not intended to do is dictate, predict or determine how death ‘should be’, nor does it wish to romanticise the end of life in any way. What are the cultural and historical and reasons for not talking about death? This article presents a philosopher’s perspective on the silence that is seeing so many die without dignity. A decade into the 21st century, a number of people still die unjustifiably delayed, painful, poorly supported and undignified deaths in Australian hospitals and other health-care institutions. ​This site provides a guide to holding your own Death Café. ​At a Death Cafe people, often strangers, gather to eat cake, drink tea and discuss death. The objective is to increase awareness of death with a view to helping people make the most of their (finite) lives'. A Death Cafe is a group-directed discussion of death with no agenda, objectives or themes. It is a discussion group rather than a grief support or counselling session. If you are interested in working in the end-of-life arena, curious about death and dying, hoping to lessen your fear of death and longing to live life fully and fearlessly, this site, created by Dr Karen Wyatt, provides a range of resources. This is the national site of Palliative Care Australia which provides resources and links. Sometimes a person craves a small group or community where deep experiences can be shared. This is what Heartwork offers. ​Andrew Denton investigates the stories, moral arguments and individuals woven into discussions about why good people are dying bad deaths in Australia – because there is no law to help them.